Many Brandeis students are already embracing the challenge to understand global issues by traveling abroad to experience different cultures first hand. However, certain study abroad options, especially those offered in the fall, are underutilized by Brandeis students. In an effort to encourage students to take full advantage of the opportunities to study abroad and to more fully integrate their international experience with the rest of their academic career at Brandeis and beyond, the Office of Study Abroad is excited to highlight the many advantages of studying abroad in the fall. There are some great reasons students might want to consider going away for the Fall semester. 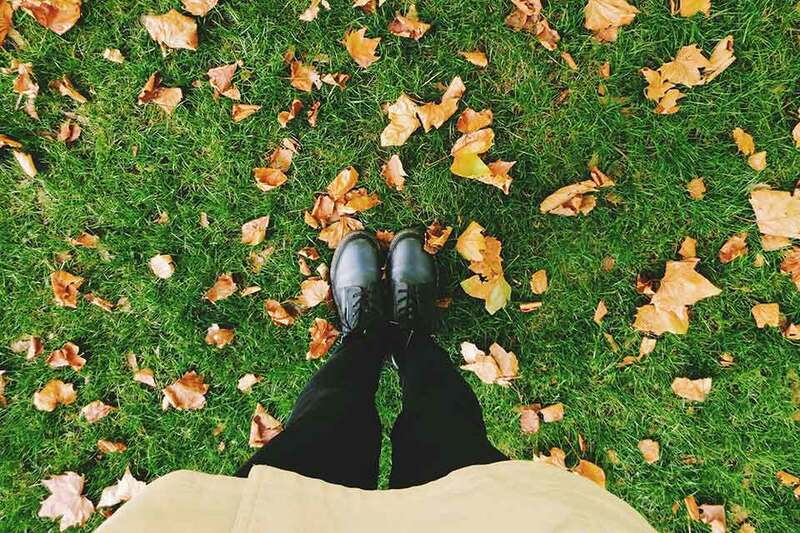 Below is a list of reasons that studying abroad in the fall can be a great advantage to you. Fewer people on your program and in your classes means better integration and more personal attention from instructors and administrators. Nationally, more people study abroad in the Spring than the Fall – buck the trend and beat the crowds! Fall programs tend to fill less quickly and often have less strict GPA and pre-requisite requirements. Have your heart set on a selective or popular program? Fall is usually your best bet for getting in. Fewer people in your host location in the Fall means less competition for the best internship/ research and field placements. Be back at Brandeis in the Spring so you can apply and interview for summer internships. As we're entering the cold winter season here in North America, Spring is transitioning to Summer in the Southern hemisphere – enjoy the "winter" break in 80 degree weather. Fall is also a great time to visit the U.K. In the words of one returned student who spent a year in Ireland, "Spring term is colder, rainier and gloomier." Discover new holidays and new interpretations of the holidays you thought you knew. Share your own holiday traditions with new friends and family. Be back on campus to participate in Spring Fest, Culture X, Festival of the Arts and other student life events. It may be important to be on campus in the spring for some leadership opportunities such as CA, Club leadership, and Roosevelt Fellow selection. Witness your graduation senior friends as they officially become alums of Brandeis - get that chance to say goodbye! "Going abroad in fall semester was a personal choice. As a matter of fact, in London the weather is much nicer in fall than it is in spring. It does not seem to be a crucial criterion, but if it would have been raining all week long (as it would in spring) I would have not been able to travel throughout England and Europe as much as I did in fall (and I am not even mentioning the snow). Moreover, doing the Boston University London Internship Program in fall gave me the unique opportunity to travel and experience new cultures while pursuing my Brandeis major requirements. It also gave me the incredible chance to meet the British Prime Minister David Cameron. Indeed, I was interning at the Conservative Campaign Headquarters where I was working on the UK 2015 general elections. As a member of his campaign team, David Cameron invited members of the team to 10 Downing Street in order to have a 'drink and a chat'. This is the kind of opportunity that would not have happened if I had not gone abroad in fall." There is no right or wrong time to study abroad. If you are trying to figure out when is the best time for YOU to go overseas, schedule an appointment with any one of the study abroad staff and we will be glad to help you think through your options! 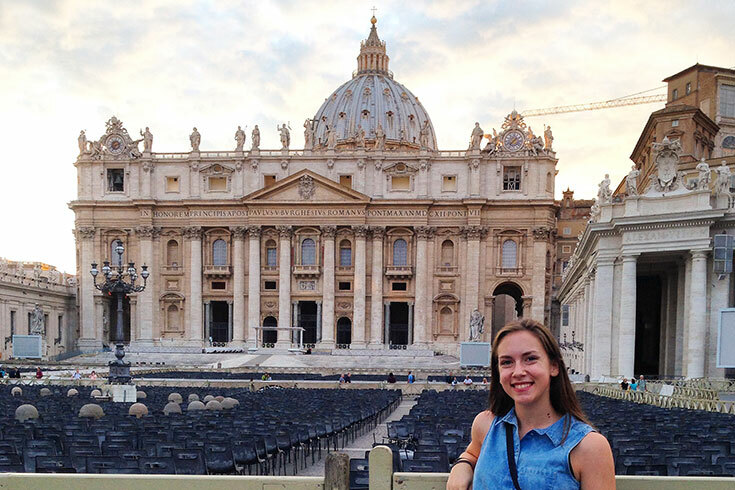 "Fall in Italy was beautiful – it was 80 degrees and sunny until October...Also, coming back to Brandeis for the spring semester made sense because I could jump right back into academic life and so many fun things happen like Springfest and Festival of the Arts!"